Thanks to Country4k for this awesome Mockup! Today we are very pleased to present you the Free Paper Cup PSD MockUp in 4k. Create a realistic presentation of your style with this free paper cup mockup. In addition, it can be used to translate your ideas both in branding and for individual use. It is important to know that this paper cup mockup is fully customizable. After all, PSD contains built-in layers of smart objects that will help you get the desired representation of paper cup in a realistic form. This resource is ideal for the presentation of branding in a cafe or restaurant. 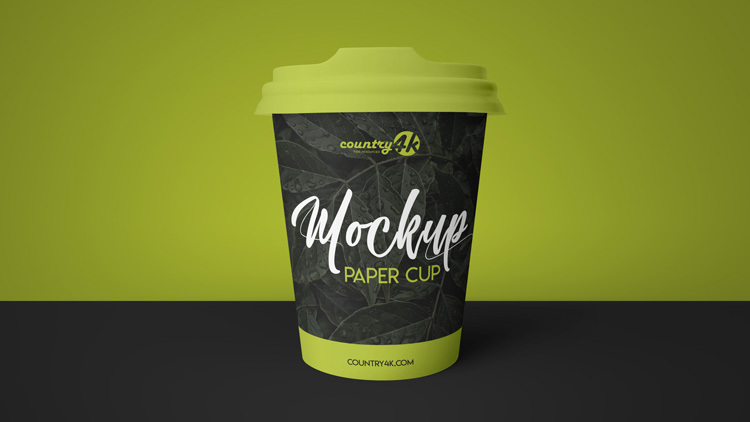 At the same time, paper cup mockup will help you in creating a logo for any business related to coffee or just as an illustration for a coffee paper cup.